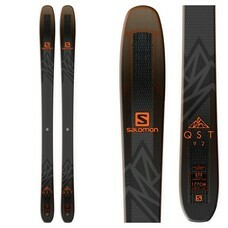 The Salomon QST 92 is an excellent option for the athletic intermediate to advanced skier who will be spending their time on the groomers, but will not be afraid to challenge themselves on the ungroomed terrain when conditions are right. 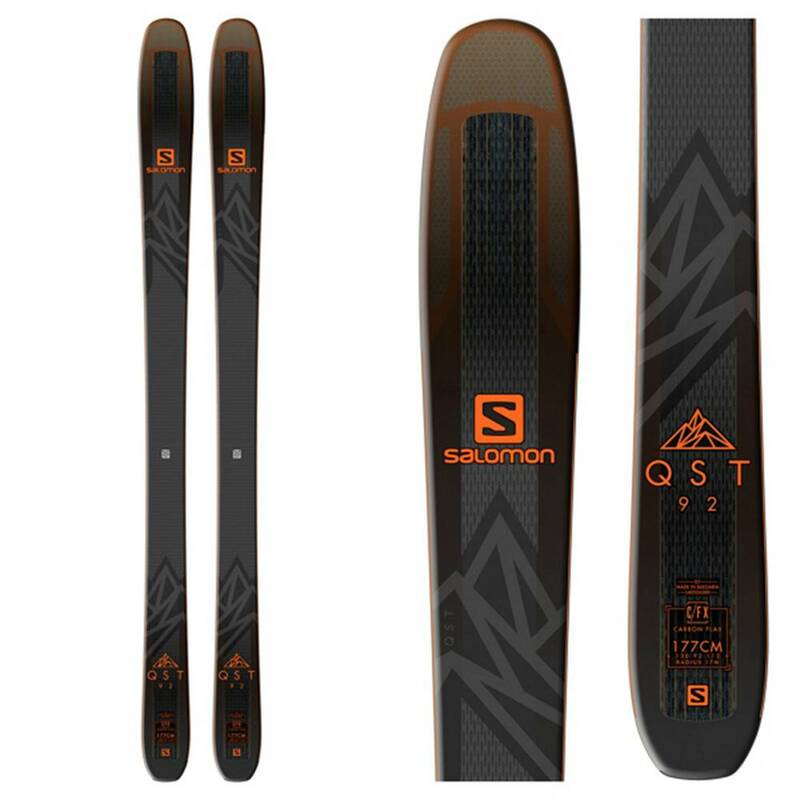 The C/FX 3 Construction has reinforcement layers of carbon and flax that offers a powerful and stable feeling without adding extra weight to the ski. Salomon's Pulse Pad has vibration dampening elastomers incorporated into the construction that smooth out and absorb vibrations as you explore the mountain. A Koroyd Tip pulls heavier material away from the tip of the ski to enhance maneuverability, improve floatation and defect vibrations caused from tricky snow conditions. A Ti Power Platform adds a little bit of rigidity underfoot and prevents you from pulling out your binding screws. 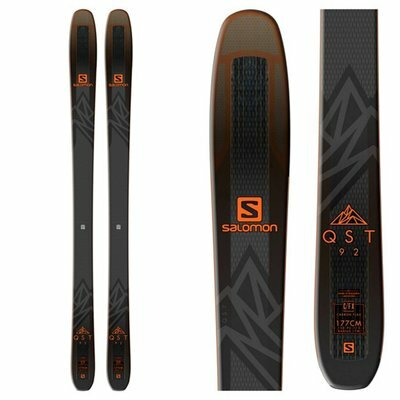 All-Terrain Rocker 2.0 helps you flow in and out of turns with little effort and keeps you floating and smearing when things get a little bit deep.